At BriX Projects labour hire, we’re serious about safety, and it shows. Safety is part of our culture; it’s integral to the way we do business and not just a set of rules we follow. We live and breathe by our safety policy of: Think Safe. Work Safe. Go Home Safe. So, providing a safe workplace for our staff is our goal, achieved by minimising safety risks and continuous stringent training. Our training programs and refresher courses are designed to ensure our workforce can easily identify and handle unsafe situations and regulate a safe working environment. Rest assured they’re ready to go when they arrive on your project site equipped with the correct training, skills and certificates. We’re also happy to arrange drug and alcohol testing or police clearances, should this be required. All we ask you to do is provide a site-specific safety induction relevant to your workplace once a worker is assigned to you. From day one of your project, our workers arrive wearing the correct safety gear, every day, until the job is done. Our labour managers work with you keep our workers safe on your project site. And, when you move to a new project site we’re happy to conduct a worksite safety assessment to identify likely risks and to provide solutions to mitigate them. These initial inspections are followed up by regular site visits by our labour managers. 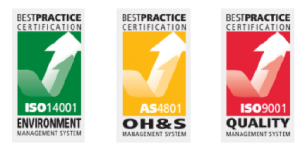 To achieve continuous improvement in safety standards across BriX Projects, and to help our clients reduce safety risks onsite, we have an integrated management system, which complies with the AS/NZS 4801:2001 Occupational Health and Safety Management System. This system is maintained by BriX Project’s in-house Safety Manger and is audited every six months by a third party to ensure we remain compliant to the standard. More targeted training programs for our staff.